Programs across the Chesapeake Bay watershed call on volunteers to plant native trees like those seen here. In a watershed that was once almost entirely covered with trees, an estimated 70 acres of forest are lost each day to development. But trees produce the oxygen we breathe, trap pollution that might otherwise foul our air and water, and help residents live healthier and happier lives. More than 15 government agencies and nonprofit organizations in Delaware, Maryland, New York, Pennsylvania, Virginia, West Virginia and Washington, D.C., have committed to the Chesapeake Bay Program’s goal to expand tree canopy in urban, suburban and rural communities. Because the involvement of community members will be critical to successfully planting and protecting new trees, engaging these communities is one of the key actions these partners will take to achieve this goal. 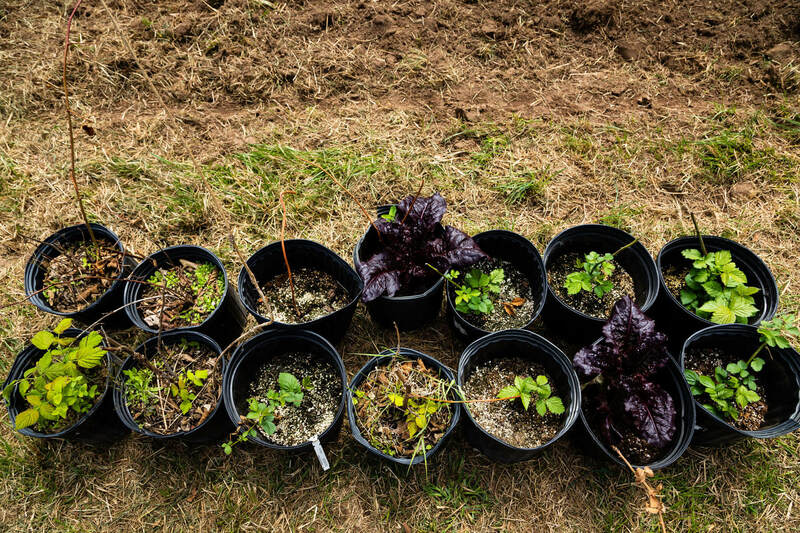 While some watershed cities and states have established their own programs to harness the power of community volunteers, the Chesapeake Bay Program’s survey of stewardship actions and attitudes in the region reveals that tree planting is not always a common behavior. According to the Citizen Stewardship Index, 40 percent of watershed residents have recently planted a tree. Of those who haven’t, just over one-third consider themselves at least somewhat likely to plant a tree in the future. Getting more individuals to plant trees will be an important part of expanding tree canopy. Here are three regional programs that could help. 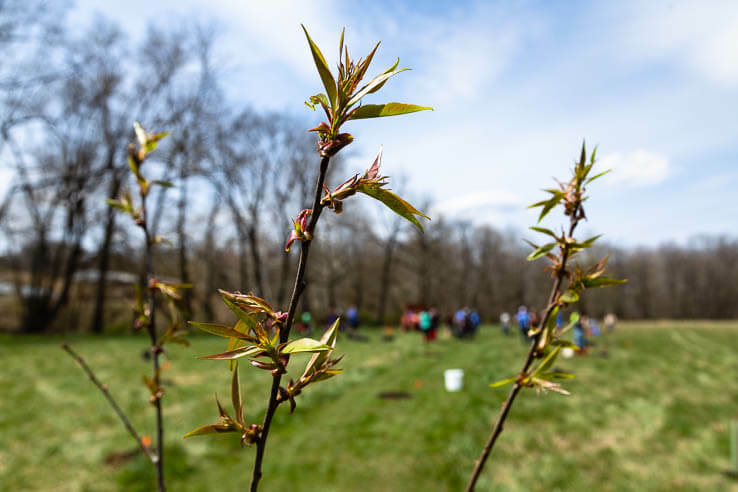 The Keystone Ten Million Trees Partnership brings government agencies, environmental organizations, local businesses and individuals together to plant 10 million trees across Pennsylvania by 2025. 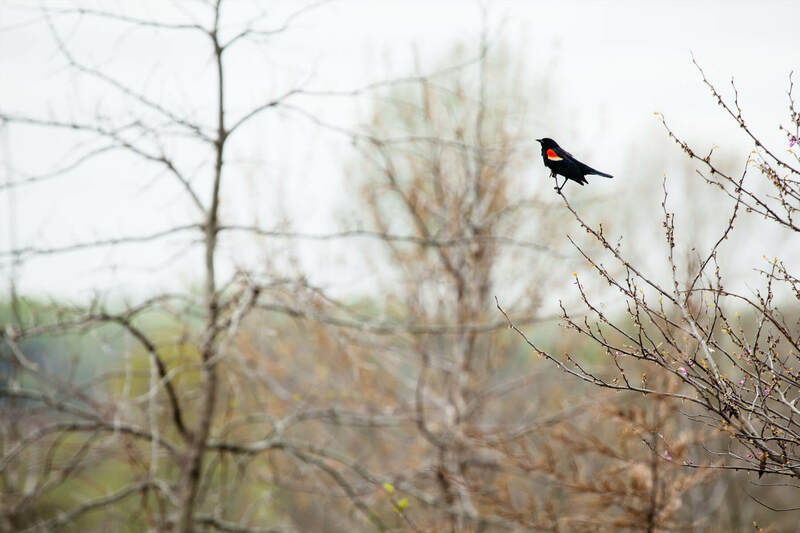 The program was established in April 2018 by the Chesapeake Bay Foundation to help the Commonwealth meet its tree-planting targets under the Chesapeake Bay Total Maximum Daily Load, which sets pollution limits for each of the seven watershed jurisdictions. For this reason, it will focus on planting trees in four southcentral Pennsylvania counties, where streams are impaired, trees are being lost and the amount of pollution flowing off of the land and into the water is high. The Ten Million Trees Partnership expects to plant 31,000 trees in its first month, both in urban and suburban settings and along rural rivers and streams. Volunteers can find local plantings on an interactive map. Community trees provide habitat to wildlife and benefit human health. In Maryland, Trees for Sacred Places calls on faith communities to plant trees at their own houses of worship. The program is part of the Alliance for the Chesapeake Bay’s urban forest initiative and is operated in partnership with the Interfaith Partners for the Chesapeake. 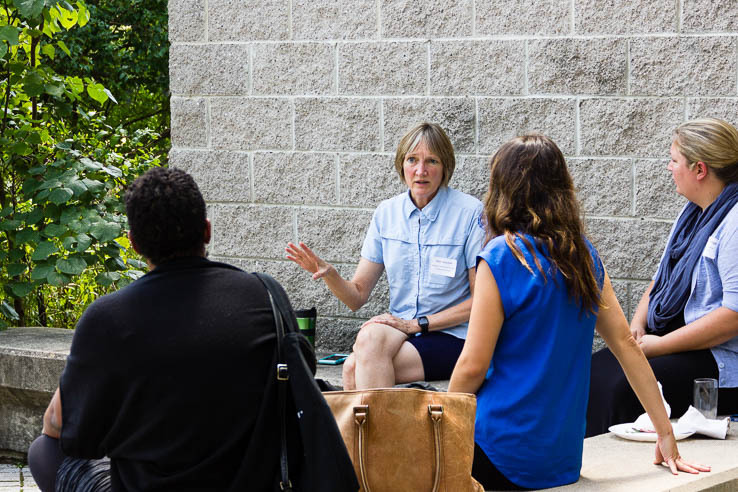 For each planting, the two nonprofit organizations develop a planting and maintenance plan, provide trees and other supplies, and lead a workshop about the spiritual foundation of environmental stewardship according to the faith of the volunteers. By involving individuals of all ages, the organizations create lifelong advocates for clean water and environmental health. By providing hands-on training in tree planting and maintenance, they give congregants tools and resources to manage their properties in an environmentally responsible way. Since Trees for Sacred Places began in 2013, volunteers have planted almost 15,000 trees at more than 100 congregations, schools, retreat centers and camps. Interested houses of worship can contact the Alliance for the Chesapeake Bay or Interfaith Partners for the Chesapeake. Carla Hardy West Virginia Project CommuniTree promotes tree planting in the West Virginia counties within the Potomac River watershed where the program’s namesake worked. 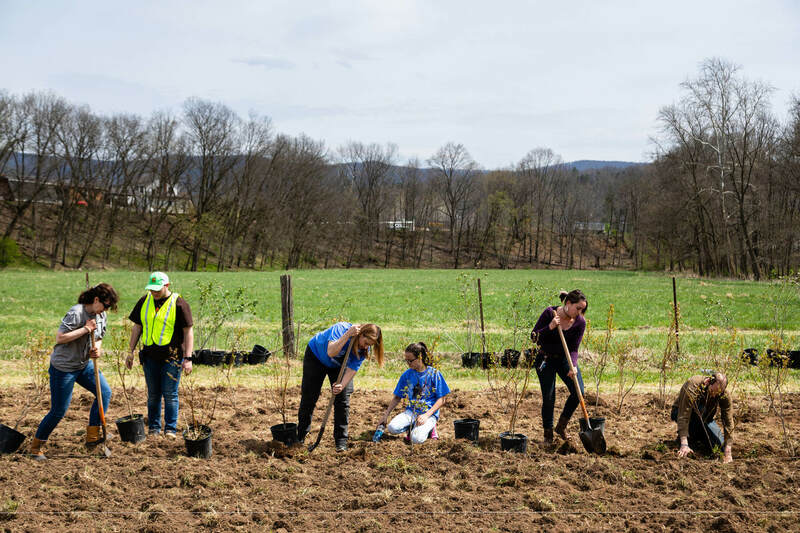 At this Earth Day event in Hardy County, nearly 80 volunteers planted 100 fruit- and nut-bearing trees at a nonprofit farm. Carla Hardy West Virginia Project CommuniTree promotes tree planting on public lands near the headwaters of the Potomac River. Named after a community conservationist who worked in the eight West Virginia counties within the Potomac watershed, the program invites community organizations to apply for tree planting kits and technical assistance in tree selection and care. The cooperative effort between the Cacapon Institute, the West Virginia Department of Forestry and the West Virginia Conservation Agency prompts individuals to make decisions about tree cover in their own communities and has identified more than 160 priority planting sites, including schools, parks and open space along streets. Since Carla Hardy West Virginia Project CommuniTree began in 2012, more than 13,000 volunteers have planted more than 6,000 trees at 201 events. Volunteer groups can apply for plantings in the fall or spring. 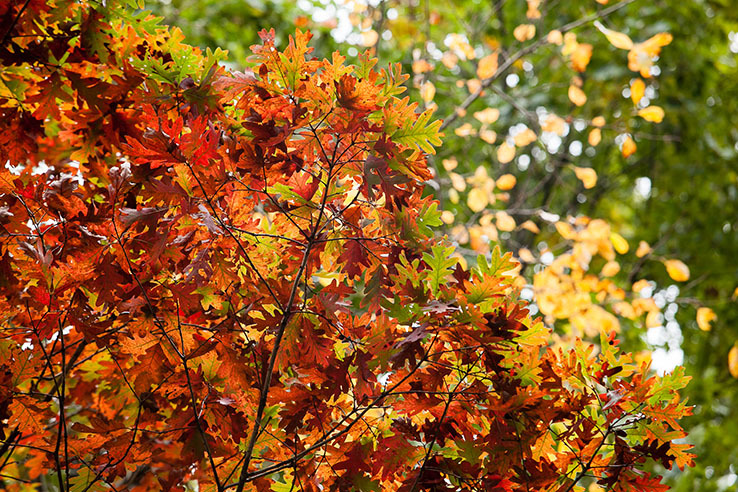 If you want to plant trees and shrubs where you live, our guide to choosing and using native plants or the Chesapeake Bay Native Plant Center are good places to start. If you want to volunteer with an environmental organization, find a group near you. And if you want to learn more about understanding, expanding and maintaining your tree canopy, visit the Chesapeake Tree Canopy Network. Learn more about the State of Tree Cover in the Chesapeake Bay watershed or our work to increase community tree canopy.